Another month, another marathon for Chris Zablocki. In December, Zablocki was in the south, posting a 2:27:41 win in the 2014 Jacksonville Bank Marathon. January was a trip to the Carlsbad Marathon where he took third in 2:23:22. In February he was back in Florida, placing second in the Tallahassee Marathon with a 2:20:31. And March? March was a win in the 2015 Albany Marathon for Zablocki--a nice way to spend Saturday morning, 7 March 2015. 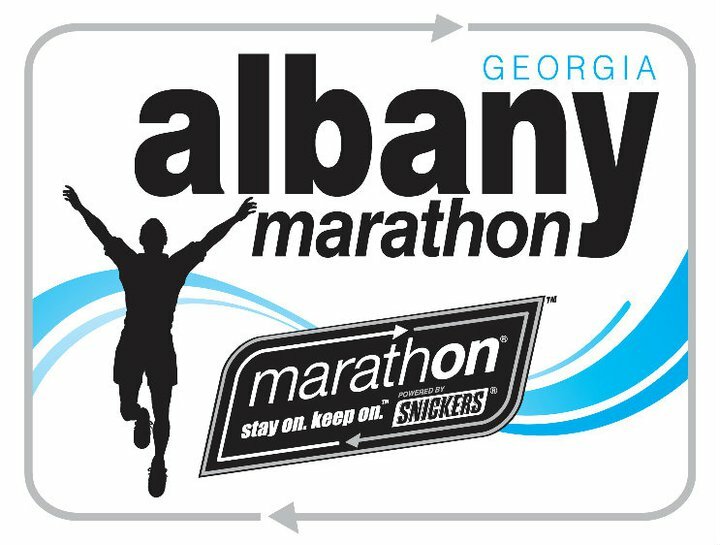 Zablocki had finished second in the Albany, Georgia, race in 2013, but two years later the ninth annual Albany Marathon was all his. Finishing more than 200 meters ahead of the runner-up, Wekuneh Aboye, Zablocki ran the classic 26 mile, 385 yard, distance in 2:18:57. Aboye's time was 2:19:44. Patrick Reagan of Savannah, Georgia, was third in 2:20:06, while North Canton, Ohio, athlete Tony Migliozzi placed fourth in 2:21:39. Brad Poppele of Colorado Springs was the fastest master runner in the marathon, coming in tenth overall in 2:42:55. Athens, Georgia athlete Sara Howe outran two-time Albany Marathon women's champ Liudmila Stepanova 2:44:39 to 2:48:30 to win the 2015 women's title. Howe and Stepanova were 11th and 12th overall, with 13th place going to the third woman in the field, Jessica Marlier of Chattanooga, Tennessee. Marlier ran 2:51:31, the third of three women who broke three hours in the race. Teresa Kirkman of Canton, Georgia, was the first woman master, at 3:31:30 the 13th woman in the race and 124th overall. 587 athletes finished the 2015 Albany Marathon. Wes Hargrove of Columbus, Georgia, edged Albany Patrick Whitehead 74:37 to 74:51 for the win in the 2015 Albany Half Marathon. Peter Kotchen of Atlanta, Georgia, was the top master in the 13.1-mile race, finishing sixth overall in 83:52. Alpharetta, Georgia, athlete Maurya Lacey was the first female finisher, coming in eleventh overall in 89:48. Atlanta's Schonie Hamilton was the first female master, placing 38th overall in 99:10. 684 athletes completed the half marathon. 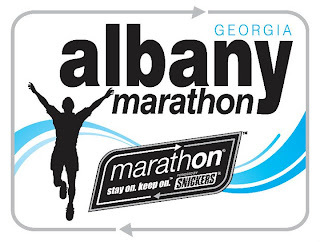 Timing for the 2015 Albany Marathon and Half Marathon was provided by Event Technical Services, Inc., of Sylvester, Georgia.